Q. On Friday evening the Hashkivenu blessing ends with a praise of God who spreads His canopy of peace over us, the Jewish people and Jerusalem. Why mention Jerusalem? 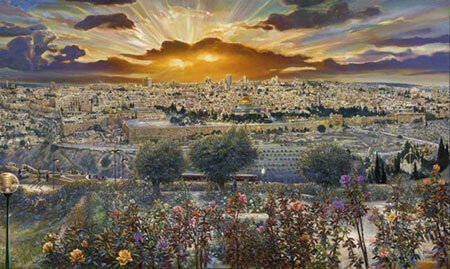 A. Shabbat is the day of peace, and “Jerusalem” means “city of peace”. When the world learns the true status of Jerusalem it will be a world at peace, and life will be like a Shabbat for everyone. In the meantime Jerusalem itself needs God’s protection. What a pity it is that there are unfriendly voices that keep insisting that the city needs to be divided again, presumably with barbed wire and barbed words. 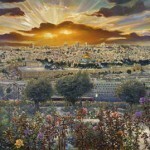 If only the world realised that Jerusalem is poetry, not prose; spirituality, not politics. This entry is filed under Ask The Rabbi, Israel, Prayer, Shabbat.